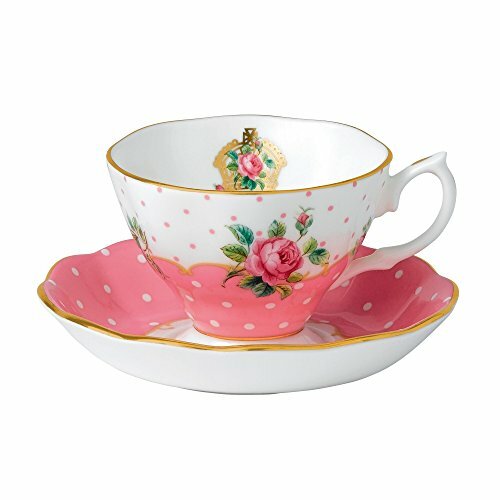 Vibrant and vivacious, Polka Rose is a beautiful new addition to the vintage patterns that have made Royal Albert famous the world over. 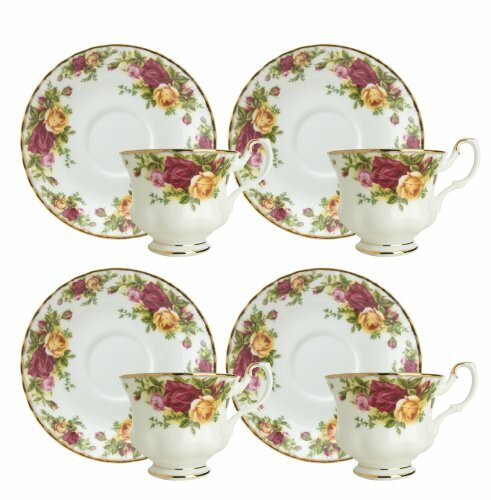 Youthful and exuberant, this Formal Vintage Teacup & Saucer Boxed Set is rendered in fine bone china and combines classic form with intricate detailing, vibrant colors and a lustrous gold rim. 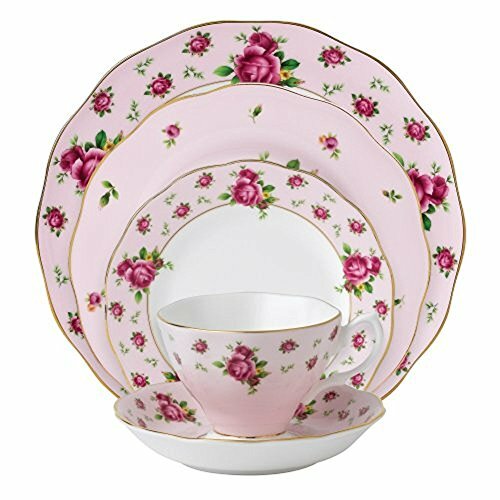 Gracie China's Rose Chintz Collection, by Coastline Imports, is lovely porcelain which can complement the kitchen, dining and living room. 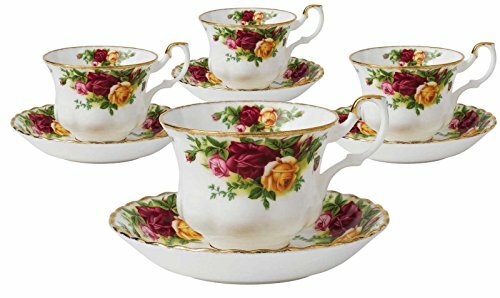 Assorted Four Porcelain Cups and Saucers with Gold Trim in a Gift Box. 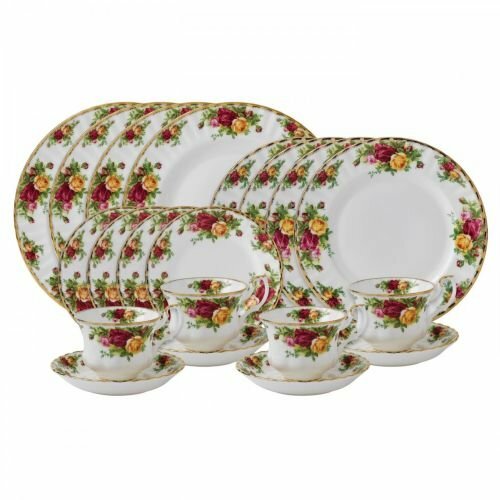 Royal Doulton Old Country Roses Christmas Tree Serveware adds a seasonal touch and warmth to any table. 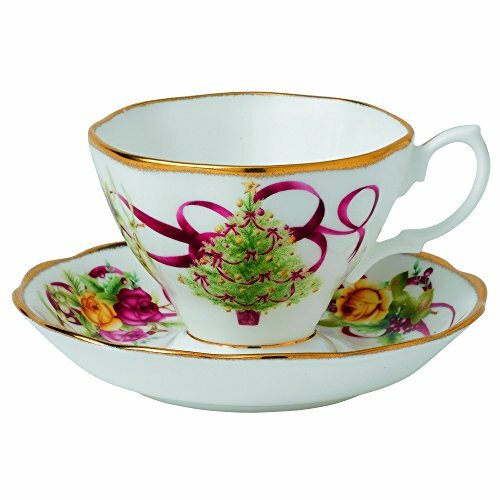 This Christmas Tree Teacup and Saucer Set features a beautifully decorated Christmas tree outlined with a holiday themed Old Country Roses design and iconic gold rim. 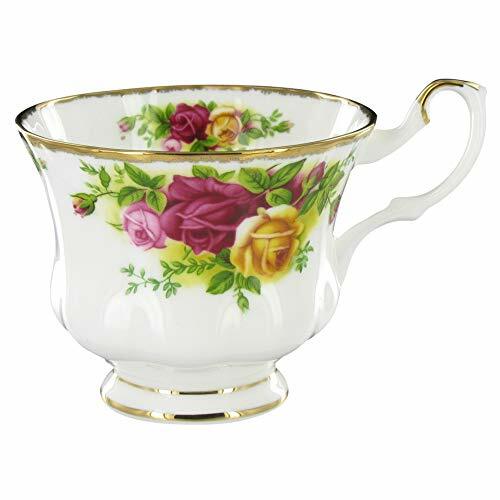 Old Country Roses is regarded as the epitome of fine English tea ware. 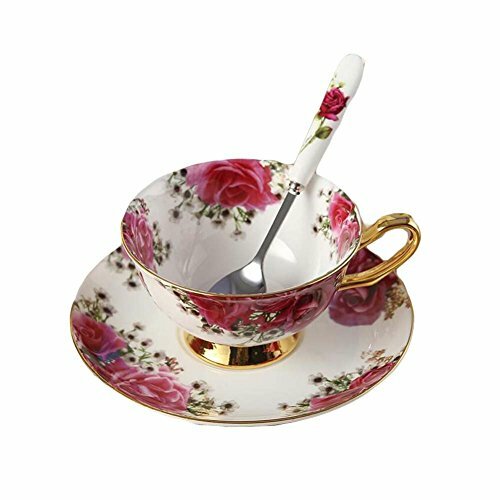 Overwhelmingly popular throughout the world, Old Country roses is a versatile pattern and its heart-warming nostalgic rose design is a perfect background for memorable meals at any time of the day. 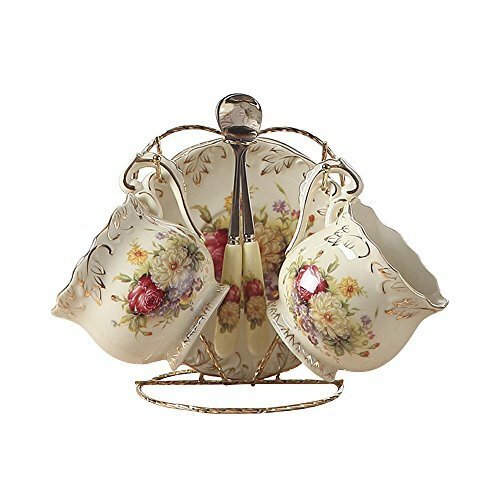 Royal Doulton Old Country Roses Christmas Tree Serveware adds a seasonal touch and warmth to any table. 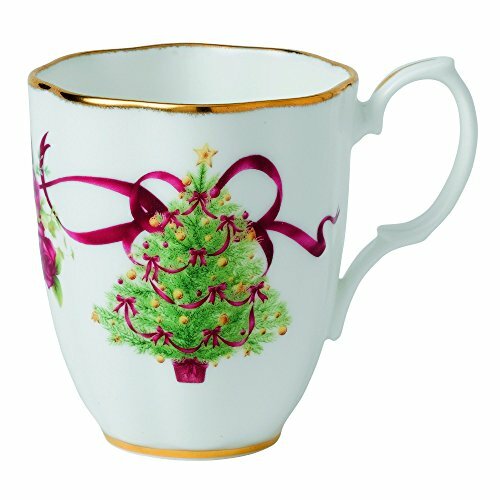 This Christmas Tree Mug features a beautifully decorated Christmas tree outlined with a holiday themed Old Country Roses design and iconic gold rim. 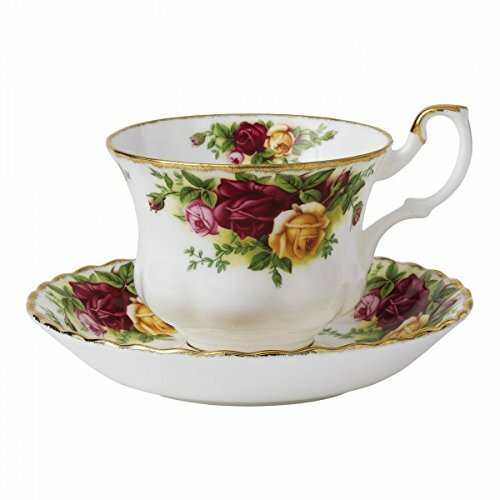 Vibrant and vivacious, new country roses is a beautiful new addition to the vintage patterns that have made royal albert famous the world over. 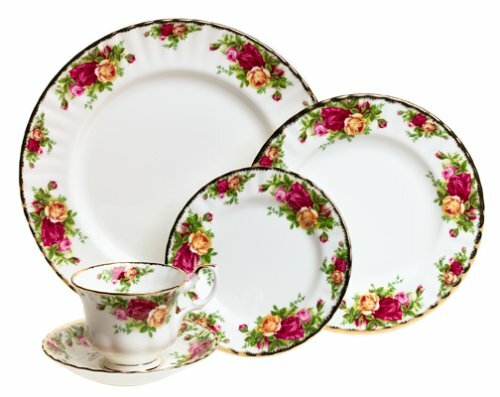 Youthful and exuberant, this formal vintage 5-piece place setting includes everything needed for one guest's full dinner service; three beautiful fine china plates and a cup with saucer. 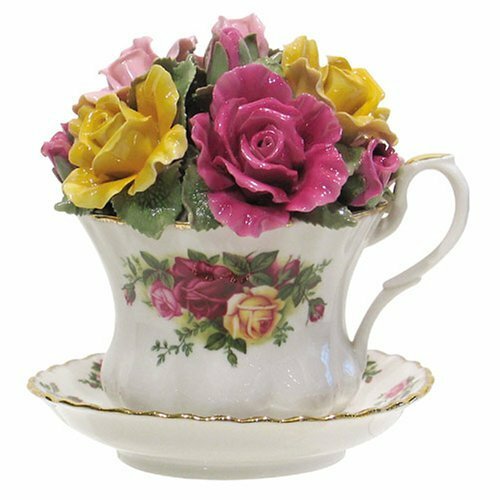 Old Country Roses "Golden Pearl" Teacup and Saucer. Royal Albert. 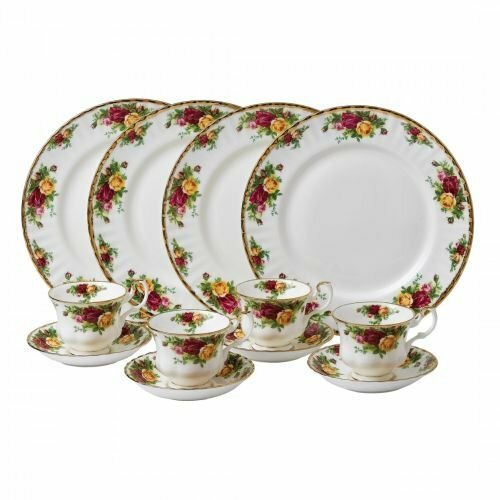 652383749887 Features: -Material: Fine bone china. -Dishwasher safe. 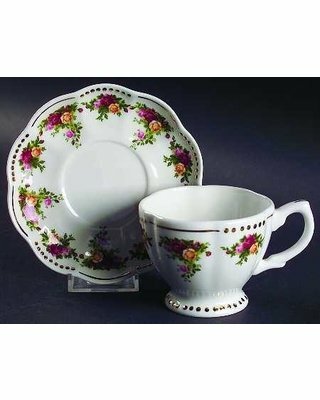 -Set includes teacup and saucer. -Color: Pink. 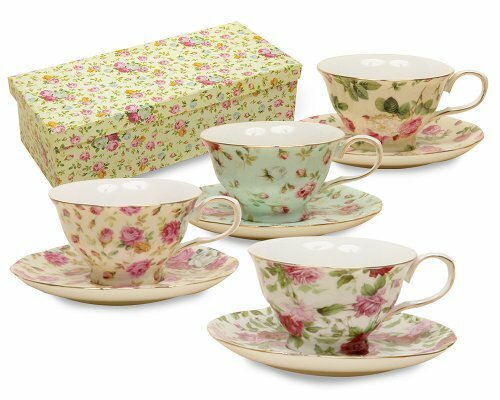 -New Country Roses collection. 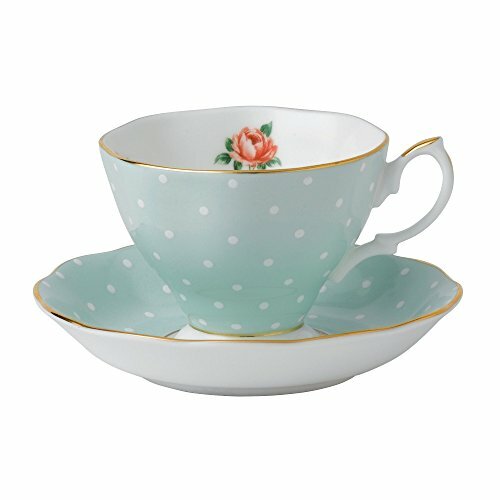 Product Type: -Teacup and saucer. Color: -Pink, White. 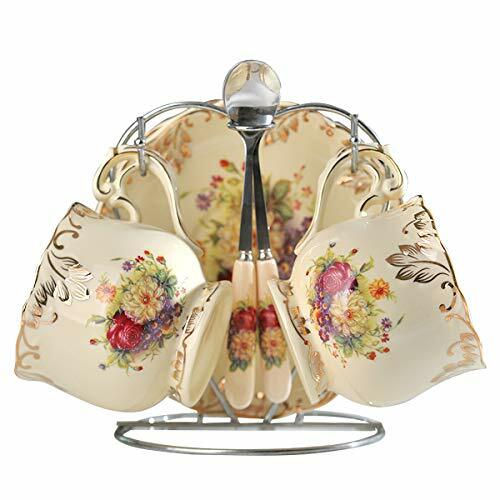 Material: -China. Style: -Traditional. 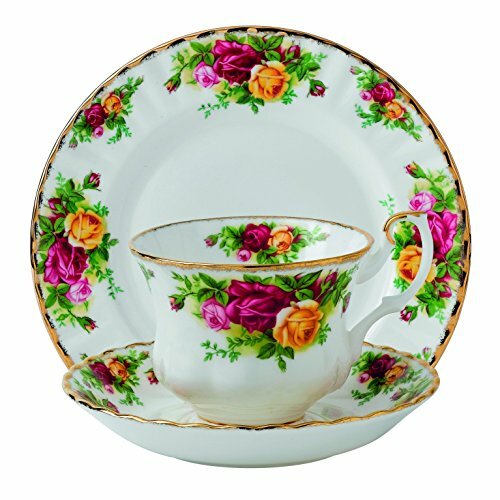 Pattern: -Floral. Dimensions: -4.9'' H x 5.8'' W, 0.95 lb. Cup/Mug Height - Top to Bottom: -4.9". Cup/Mug Width - Side to Side: -5.8". Overall Product Weight: -0.95 lbs.